As much as half of the energy used in your home goes to heating and cooling. So making smart decisions about a home’s HVAC system can have a big effect on utility bills — and comfort. 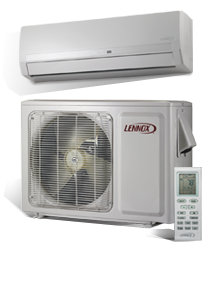 Systems 9RLS2H, 12RLS2H and 15RLS2H are among the most efficient mini-splits in North America, with Seasonal Energy Efficiency Ratings of up to 27.2-SEER. The RLS2H systems are packed with features specifically created to save you money – like Energy Saving Program, or ESP, a programmable remote control and inverter technology. Reliable comfort — anytime, anywhere During cooler months, the MS7H works as a normal heat pump, collecting heat from the outdoor air and delivering cozy warmth to a specific room in your house. In warmer weather the process reverses, allowing the MS7H to cool the same room to a comfortable temperature. You enjoy efficient comfort in any room – and in any season.